R. S. Radford is a former Principal Attorney at Pacific Legal Foundation. For more than 25 years, Mr. Radford has practiced before the United States Supreme Court, the Ninth Circuit, and other Circuit Courts of Appeals, primarily in cases involving property rights and land-use regulation. He has also appeared before the highest courts of New York, California, and other states, and has testified in federal court as an expert on California law. Mr. Radford has published more than 20 articles on constitutional law and property rights in leading academic publications, and has been cited in hundreds of books, journals, and legal treatises around the world. 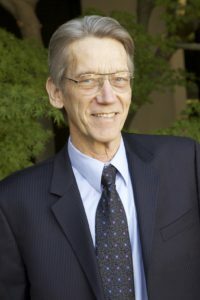 A contributing editor to the Encyclopedia of American Civil Liberties, Mr. Radford is a former adjunct law professor and California Lawyer of the Year.